Watching football Sunday afternoons was the norm in our home. By the time I started high school, I had already seen the Lakers defeat the Celtics, the Dodgers lose to the Padres and Wayne Gretzky score his way to becoming one of the greatest hockey players of all time. Live, mind you. When we weren’t watching professional sports in-person or on TV, our Saturday nights were spent at our local high school supporting our football team. So when my son was old enough to understand what a ball was, I introduced him to soft ball. And for an entire season, he sat and stood on the field, bored and defiantly uninterested in the game. As a mom, I appreciate those parents who have gone before me with their wisdom and guidance. One of their best tips was to keep my kids involved in sports for as long as possible. I took that advice to heart and decided to introduce my son to a new sport each season until he found something that he loved. The following Fall, my son played his first soccer season at the age of 6 and has played every season since that first day. His passion for the sport is strong, and his commitment is evident in his willingness to forego other activities in order to practice and continue to further his skills. I’ve never considered myself a soccer mom, a role that I found myself initiated into at the beginning of my son’s first season. With practices now two days a week plus our weekly games, you can imagine that we spend quite a bit of time on the soccer field. While there isn’t a manual to walk you through the do’s and dont’s of the sport, I thought I’d share some tips to help first-time soccer families navigate the logistics of the sport. Learn the sport. 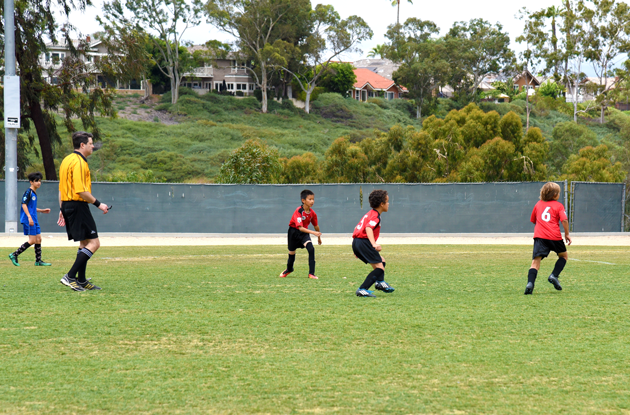 It wasn’t until I found myself coaching my son’s soccer season that I realized that it would have been nice if I had paid more attention during his games and did some research on the basics of the sport. My son plays in a volunteer-based organization, which means parents take on a variety of roles to ensure that each team runs smoothly. One particular season, when the number of players outnumbered the number of coaches, I found myself volunteering in order for my son to play his favorite sport. I had no idea what I was getting myself into, but in that moment I found myself lamenting the fact that I still knew very little about the sport. While you may never find yourself coaching your child’s soccer team, learning the basics can help you understand what is going on during your child’s game. This information can be valuable as you practice or invest in camps and workshops that can improve their skills. Your child will also get a sense of your own investment and the fact that you take them and their involvement seriously. Be prepared. In addition to the required gear (uniform, soccer cleats, shin guards, and soccer ball), you’ll want to come prepared to each game with snacks/drinks, chairs and umbrellas, and sunscreen. I also like to bring a camera to capture moments during the game that I can then share with the rest of the team. One of our go-to tips for ensuring my son is hydrated throughout the game is to pack BODYARMOR sports drinks. Available in 9 kid-friendly flavors, these drinks contain potassium-packed electrolytes, coconut water, and vitamins. Unlike most sports drinks on the market, BODYARMOR is free from artificial flavors or sweeteners and low in sodium. It is a healthier alternative to sports drinks and provides athletes bodies with superior hydration. Here in Southern California, BODYARMOR is available at Ralph’s stores. Be a team player. If you play on a local team, you may be asked to volunteer to serve as Team Mom, referee, photographer, or any number of positions that ensure that the kids have an enjoyable season. If your schedule does not allow for an involved role, consider helping out with field duty, managing communications or running the team website. Model sportsmanship. The level of competitiveness can vary from team to team, with some parents expressing their enthusiasm vocally. Our particular organization has a zero tolerance policy for negative behavior on the sidelines. Lead by example and show respect for coaches and referees, the opposing team, and the game itself. Good sportsmanship is something children will carry with them through life. Be your child’s biggest fan. Believe in your child’s ability to play and show him/her how proud you are of them. Show your unconditional support while maintaining a sense of realism about their aptitude. 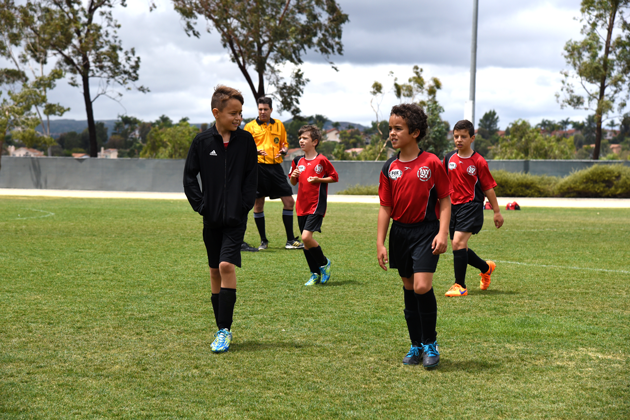 If your child could benefit from additional training, consider workshops and soccer camp. From cheering for my son on the sidelines to coaching his team, we have had a number of incredible memories because of our involvement in youth soccer. My son met some of his best friends kicking a soccer ball around a field. And his gross and fine motor skills have been refined by the sport, which requires speed and agility. I have also noticed a significant improvement in his teamwork and sportsmanship. 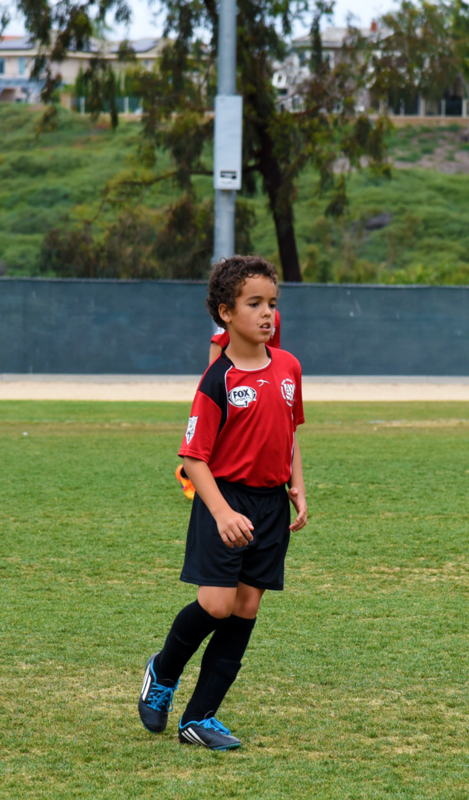 Do you have an aspiring soccer player in the family? I’d love to hear your best tips for navigating the season.